The problem-solution approach sets Java 8 Recipes apart. Java 8 Recipes is focused less on the language itself and more on what you can do with it that is useful. The book respects your time by always focusing on a task that you might want to perform using the language. Solutions come first. Explanations come later. You are free to crib from the book and apply the code examples directly to your own projects. 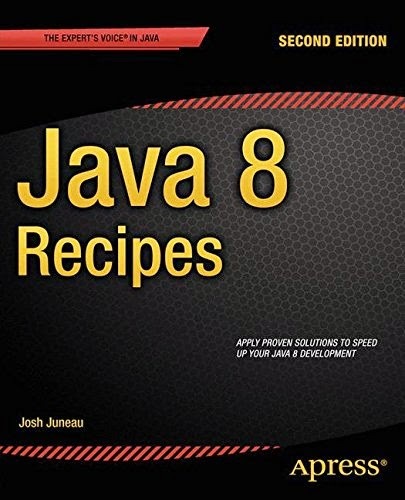 Java 8 Recipes is aimed mainly at intermediate and experienced Java programmers. If you're past the point of being able to write "Hello, World", then you'll find Java 8 Recipes to be chock full of interesting and useful programming solutions to help you achieve your goals and meet with success in your Java programming projects.